Mother’s Day is this Sunday and you want to show the mom in your life how much she means to you (because let’s face it, with all of the work that moms do, everyday should be mother’s day). Most importantly, you want your gift to represent how much you appreciate your mom and sometimes, it’s the simple things that mean the most. Here are ideas for some inexpensive gifts that mom will love. Wait until the mom in your life has left the house for a few hours and clean up. It doesn’t even need to be a deep cleaning; simply unloading the dishwasher and running a vacuum and broom through the house can make a huge difference. For an extra special touch, leave a vase of flowers and a card sitting on the kitchen counter waiting for her. She’ll get to use the time she would have spent cleaning and relax instead. This is a great gift for kids to give because they can pick what the coupons are for and help make them. Some ideas include a bear hug, unloading the dishwasher, breakfast in bed, etc. You can make them as simple as you want, writing on index cards with markers and tying them together, or make them on the computer for a more detailed approach. 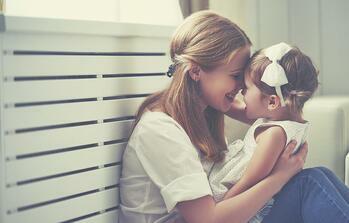 Whatever you choose, mom is sure to love her extra perks. A lot of families have a list of go-to-recipes that they share when everyone comes together for a meal. Collect favorite family recipes and compile them into a nice a book or blog. This is a great gift for every mom in your family so everyone can make their favorite recipes whenever they want and be passed down to the next generation so they can be enjoyed for years to come. The best part about this gift is that it will never be complete; you can continue to add recipes and create new memories. Whatever you decide, simply taking the time to thank your mom for all she does for you can mean the world to her.